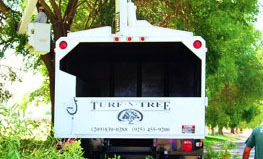 Turf-N-Tree is uniquely qualified and equipped to complete any residential or commercial landscape construction project. With our own talented landscape designer, a certified arborist, and a top-notch landscape construction and tree service crew, Turf-N-Tree will build an environment of natural beauty to surround your home or office. Request a consultation and a quote today. Call our Tracy office using the phone numbers on the left or use the form below to make your request. We look forward to working with you. Note: if you don't want to supply the required info through the form below, you can call us at 209-830-0288 for the Central Valley or 925-455-9200 for the Tri Valley.